Little pockets of tofu which are sweet, a little oily and they can be filled with anything you like! I've seen that some packs come with seasonings however mine didn't so decided to take matters into my own hands! 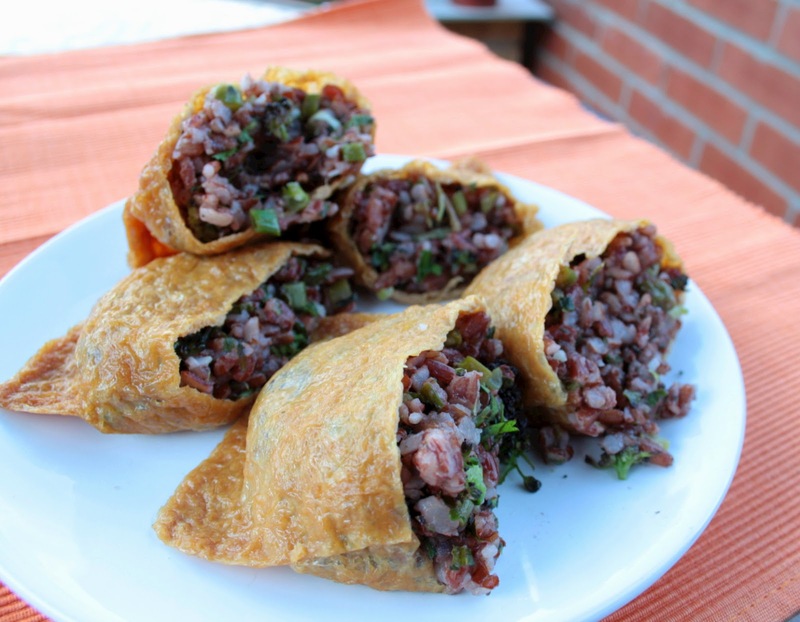 Rice seems to be the filling of choice so thought today would be the perfect time to not only use my tofu pockets but to also use the red rice I bought. 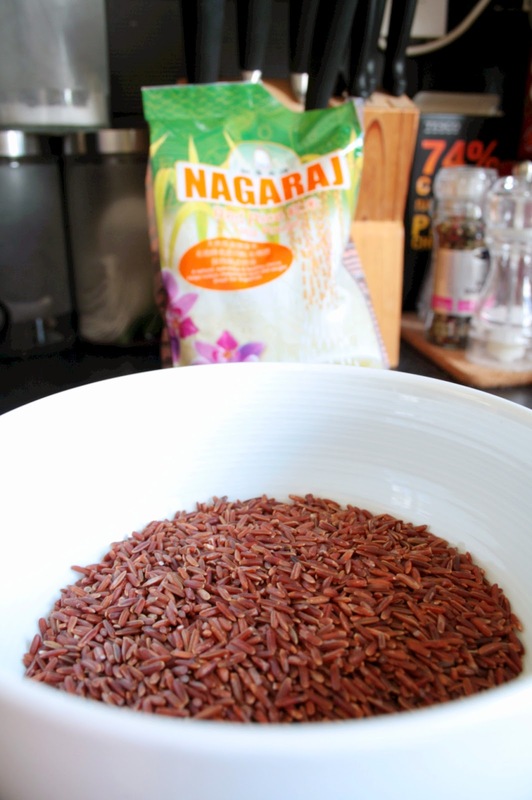 Red rice is very similar to long grain rice but the outside is a lovely dark red colour. It's an unpolished rice so it holds a lot more nutrients than its polished relative. The only downside is that because it's unpolished it will probably take a little more time to cook. 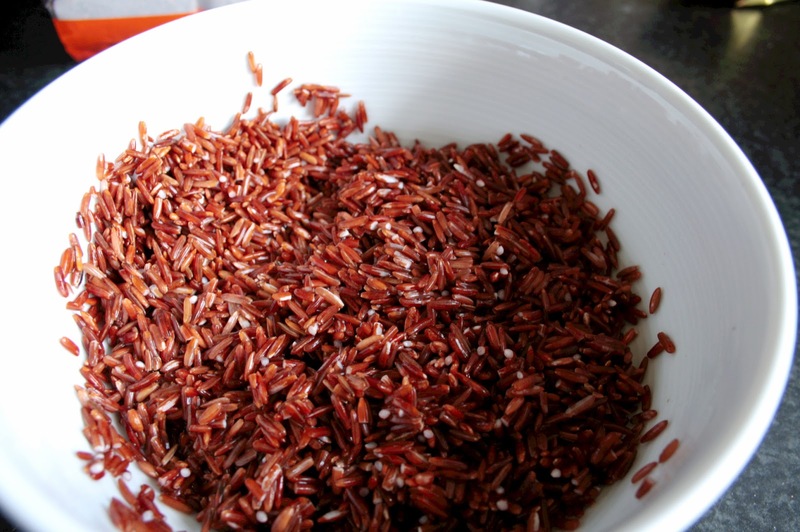 Soak 1 cup of red rice in cold water making sure to give it a rinse, refill with water and then let soak for about half an hour. Bring 2 cups of water to the boil, add the drained rice and then cover. Cook for about 20 minutes or until the water has disappeared and the rice if fluffy and tender. Steam the broccoli - I use a microwave, 30 seconds with the lid at a jaunty angle to let off steam. Soften the garlic on a low heat with a little olive oil. 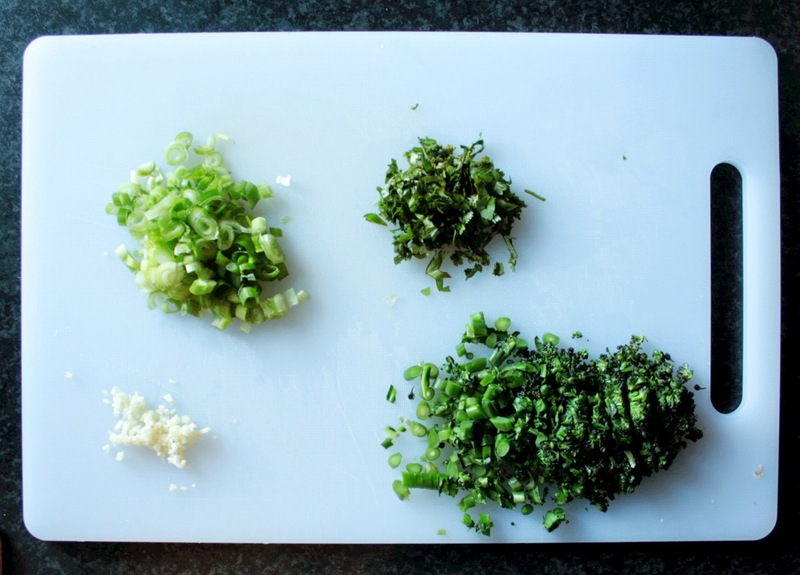 Add the broccoli and cook on a low temperature for about 5 minutes then add the spring onion. Cook for another minute then stir in 1 1/2 cups of the rice. Mix well then allow to cool - cool to room temperature then refrigerate the rice. The tofu pockets are good as they come and ready for stuffing however I'm not a fan of oily food. You can get rid of the oils on the tofu skins by dipping them in boiling water for a couple of seconds or at least rinsing them under hot tap water. I made half a pack (6 tofu pockets) and froze the rest - I'm hoping that freezing them works out ok so if you've frozen them I'd love to hear from you about the best way to freeze! I had 3 for my dinner with some additional steamed broccoli and then took the remaining 3 in for lunch today. Do I need to add a recipe? I don't think so - only because these tofu wrappers are so versatile! If you are stuck for filling ideas I am more than happy to give you suggestions!